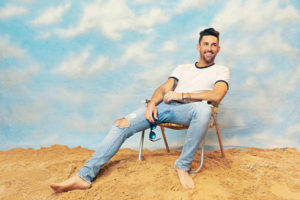 March 29, 2018 – GREETINGS FROM…JAKE features 14-tracks including Owen’s seventh career #1 and PLATINUM-selling smash, “I Was Jack (You Were Diane),” plus special collaborations with Kid Rock (“Grass Is Always Greener”) and YouTube sensation Lele Pons (“Señorita”). Billboard exclusively premiered the smooth ballad “In It” (HERE) while Rolling Stone named “Drink All Day” in their list of Country and Americana Songs You Need To Hear Now. Adding to the release day excitement, Owen will make a special live performance tonight at the legendary Tootsies Orchid Lounge on Broadway in Nashville, TN.